“Diamonds are forever”; “Shine bright like a diamond”; “Diamond are girls best friend”...... you all know the status of diamond and it's influence on pop culture. Nowadays It is almost a standard to have an engagement ring with diamond as the center stone. While it's perfectly safe to go for a traditional brilliant cut diamond, such choice is a bit boring for those who dare. Are you a thrill seeker or someone enjoys a new take on things? A recent trend is non- traditional engagement rings with raw diamonds. Raw, uncut, rough diamonds. Just the way it is when it was mined. Because each raw diamond is different than the other, every piece has its own story to tell. You will have your very own unique engagement ring when you choose raw diamond. Rustic and organic, their charm comes from its imperfections, challenging the standard of beauty. Having said that, a mundane design simply cannot match the unparalleled uniqueness of raw diamond. I go with a nature-inspired theme because it perfectly matches the rustic look of raw diamonds. In these engagement and wedding ring sets, raw diamond is set on the engagement ring, paired with a matching wedding ring with contrast colored gemstones. Below are few shots. My personal favorite is this pinkish gray raw diamond with contrast pink sapphire. The color contrast just works for me. The design is of a plum blossom. The flower are so beloved in the eastern culture, because plum blooms most vibrantly in the winter snow, and because of this rare characteristic, plum blossom symbolize hope, vitality and perseverance. 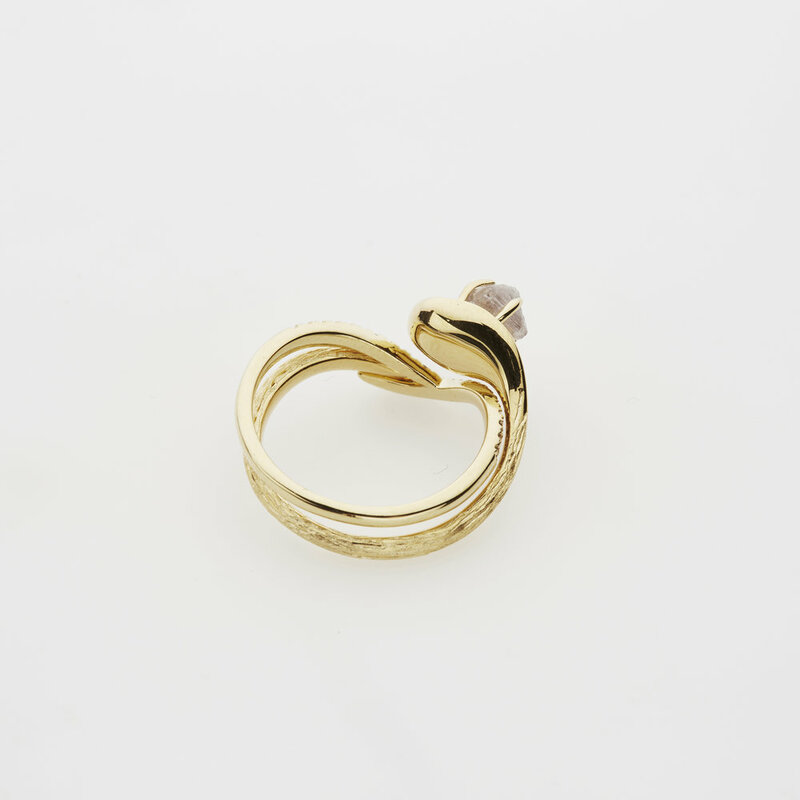 You can wear the two rings separately. 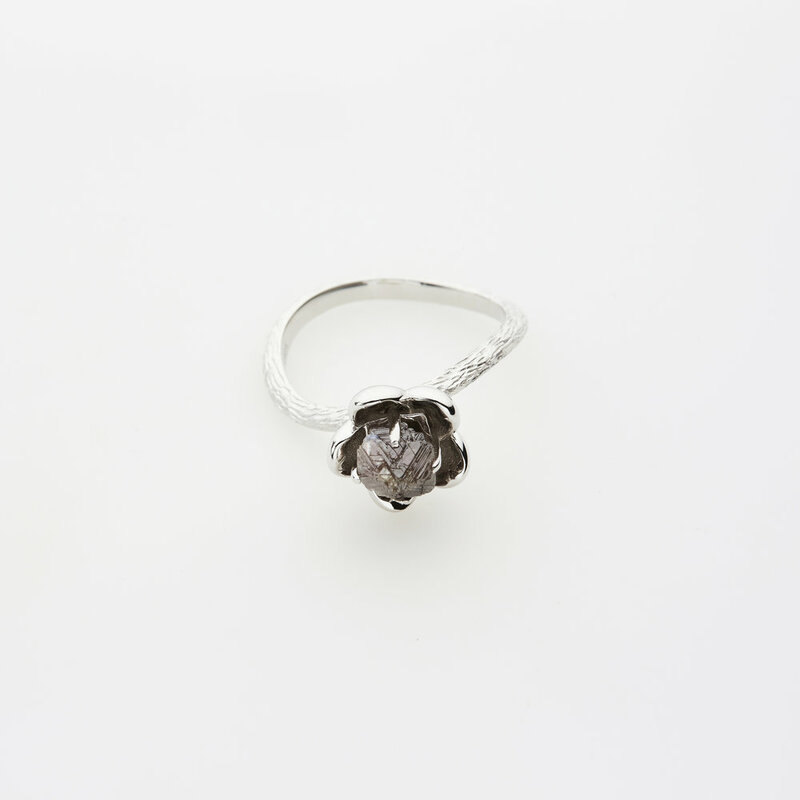 The engagement ring (set with a gray raw diamond) is the plum blossom flower. 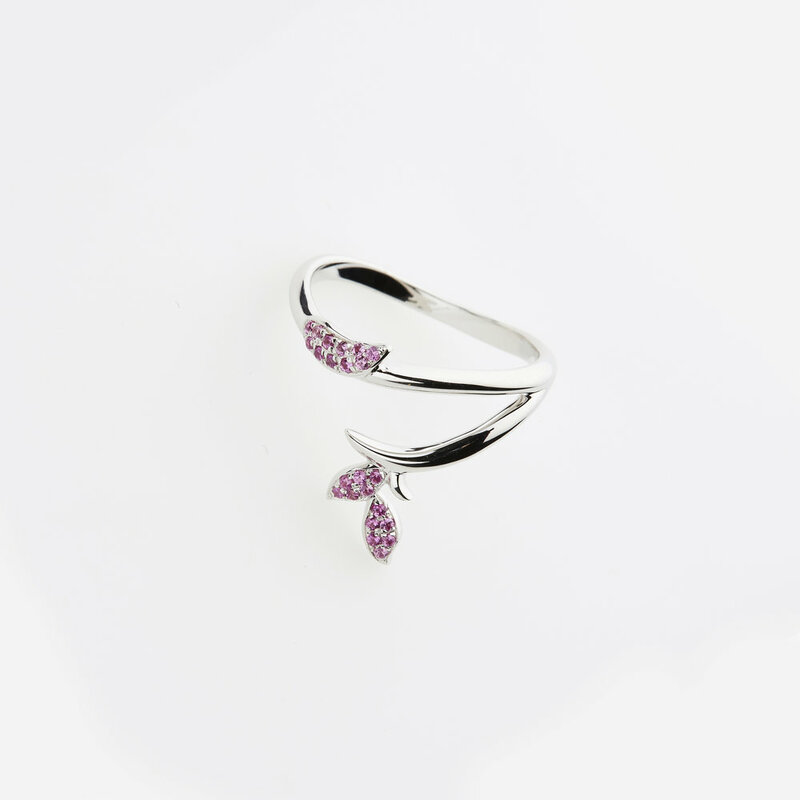 And the wedding band (set with pink sapphire) is the twig. Each ring is cool on it's own. Or put them together for a complete image of the plum blossom and it's twig.